To register, follow the format and post it here. No time limit on the registration, as long as you receive a confirmation. Make sure to register your guild first. Only the REGISTERED GUILDS are allowed to enter the Castle. Highest point earn will be declared as the Agit Lord of the Month. Top 1, 2 and 3 will earn prizes. If you OWNED AT LEAST 1 CASTLE during the event, you are qualified for our UPPER BRACKET GOTM. Having a Longest Defense points doesn't qualify you in the Guild Of The Month. In every attendance on our Agit Lords Run will gain a point. You must complete 4 points to be qualified for our Guild of the Month. Your guild will be qualified for our LOWER BRACKET Guild of the Month, even if your guild did not own any castle during the Agit Lords Event. How does the Attendance work? GM will be monitoring the event, the Guild must be active during the WoE Time. Which compose at least 20 active members during WoE. Repetitive violation will be discussed within the management team. Reshuffling and Resetting of the castle might occur during the Agit Lord run. You need to OWNED AT LEAST 1 CASTLE during the Agit Lords Event, or Completed the 4 points Attendance requirement. 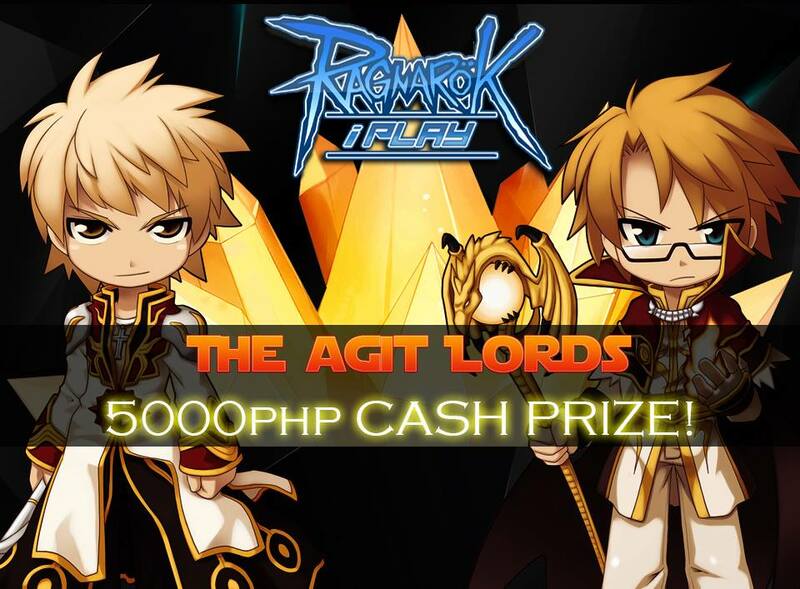 As long as you are registered on our Agit Lords Event, you are automatically registered here in the Guild of the Month Event. All Upper Bracket and Lower Bracket match will be a best-of-3 round. The Grand Finals match will be a best-of-5 round. All Matches will start at 8:00 PM onwards. A team will be called for their turn within 5 minutes, if they do not appear within the allotted time, their turn will be forfeited. Every team will be given a maximum of 3 minutes to restock every round. Lag, human error, or other technical error from the player’s side will not stop the game. The Game Masters have the right to stop the match if needed.